Ready for advertisers’ biggest night of the year? 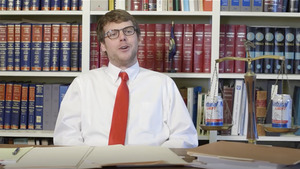 The Super Bowl ads that air on Sunday will go viral, make us laugh, and may even win Emmys. Last year, 111 million viewers watched “the show”. The next biggest event was the Oscars at 33 million. Fact #1: A steal at $5 million. A 30-second spot in this year’s edition of the New England Patriots versus whoever (L.A. Rams this time!) costs a historic $166,667/second. The cost of this investment soared 87% over the last decade. That’s just the price of the ad time, and does not include production and talent costs. 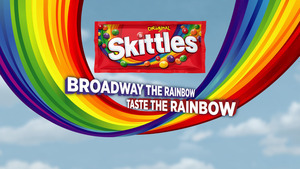 Fact #2: Skittles stages a Broadway musical in NYC on Super Bowl Sunday instead of airing an ad. 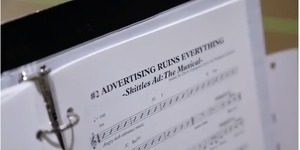 Instead of buying an ad, Skittles is putting on a live Broadway performance dubbed, “Skittles Ad: The Musical” on Super Bowl Sunday in NYC. Yesterday, the candy brand released a behind-the-scenes music video capturing the cast of the musical performing a tune from the show called “Advertising Ruins Everything” with lyrics referring to ads including,“it ruins the web and it ruins TV…and there’s nothing we hate more than each time we pay for targeted ads served up on Instagram”. It’s quite the satirical view of advertising on the big game. Fact #3: Kia funds scholarships instead of a celebrity. Kia has relied on star power – Aerosmith’s Steven Tyler in last year’s ad, Melissa McCarthy in 2017, Christopher Walken in 2016, Pierce Brosnan in 2015, and Laurence Fishburne as his Matrix character Morpeheus in 2014. No more padding the pockets of celebs. This year, Kia is launching “The Great Unknowns Scholarship” to help young people in need of access to higher education. Kia is betting that this approach will resonate with its target audience. Fact #4: Audi jumps to the future. After taking a time out and skipping last year’s game, Audi will air a 60 second spot in the 2nd quarter. The ad features its e-tron battery-powered SUV model and what the luxury brand calls its “electric future”. 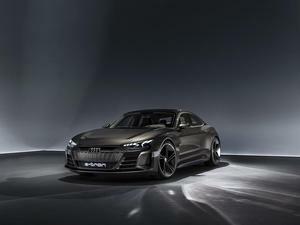 Audi needs to reach the game’s mass audience, since 2018 was the first year in almost a decade that the brand experienced declining sales. Fact #5: Natural Light pays fans to offset student debt. Beer brand “Natty Light” will pay $351, the average monthly student loan payment, to 151 fans, to help them offset their monthly student debt and free up funds for a Super Bowl party. Natty Light is attempting to connect with their audience via an issue that’s top of mind to them. Fact #6: Anheuser-Busch preps 5.75 minutes of Super Bowl airtime. The largest Super Bowl advertiser of all time, Anheuser-Busch, is shelling out more than Tom Brady is making this year for ads for seven beer brands and Bon + Viv Spiked Seltzer.The message is clear: the beverage behemoth believes this single event is vital to supporting its brands.Fact #7: Bumble swings for the fences with Serena. Dating app Bumble, where women make the first move, marks its first Super Bowl appearance with the “In her court” campaign, which was developed and produced by women. 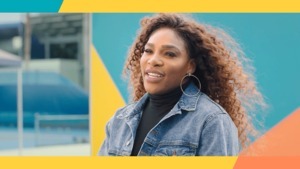 The ad features Serena Williams in all of her roles from professional tennis player, to entrepreneur, to wife and mother. Bumble is one of many ads this year with a woman as the hero. Also watch for Proctor & Gamble’s Olay brand featuring Sarah Michelle Gellar, and Mars’ M&M’s with Christina Applegate. Fact #8: Amazon has more secrets. Amazon landed one of the most popular Super Bowl ads last year and is back. While the giant retailer has not officially announced it will air a Super Bowl commercial, it posted two sentences on amazon.com: “Amazon has recruited some famous friends to test new Alexa technologies. To see what happened, tune into the big game on 2.3.19.” The celebrities includes Harrison Ford, Forest Whitaker, Ilana Glazer, Abbi Jacobson, and the Kelly Brothers. This will be Amazon’s fourth consecutive SB appearance.